Michael Scot Jenkins, age 43 of Conneaut, died January 30, 2019 after battling a long-time struggle with drug addiction. Mike was born on August 20, 1975 in Conneaut the son of Harold Dean Jenkins, Sr. and Mary Williams-Dalrymple. Mike attended Conneaut High School and later worked at various jobs as a handyman, construction and General Aluminum. Mike loved to spend time with his family and especially his nieces and nephews, who were the love of his life. He also enjoyed drawing, fishing, playing football with the kids and playing video games. Mike was preceded in death by a step-brother Robert Curtis. He is survived by his father Harold Dean (Carol) Jenkins, Sr., his mother Mary Williams-Dalrymple, step-father James Dalrymple, Jr., two brothers Harold D. (Melissa) Jenkins, Jr., and James Dalrymple, three sisters Lisa (Jeff) Fees, Jamie Dalrymple and Cindy Dalrymple, a step-sister Ann Curtis all of Conneaut and many nieces and nephews. 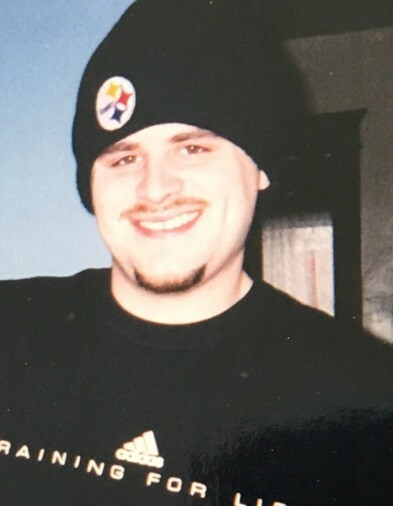 Memorial contributions in Michael’s memory can be made to any drug addiction center, such as NEO Cap, Glenbeigh Outpatient Center, and CCA in Youngstown. Arrangements have been entrusted to the Raisian Family Funeral Home, 581 Harbor Street, Conneaut.